Alert! Alert! Don’t get caught sleeping on this foundation. I’ll just start out by saying: if you need full coverage but hate heavy makeup, this foundation is for you! The Catrice HD Liquid Coverage Foundation is new on shelves at Ulta Beauty for $10.99 and I am quaking. You all know that I struggle with acne and acne scarring, so usually even my every day foundation is medium-full coverage. However, I’m just not on board with how heavy all my foundations are feeling lately. Maybe because my skin has been a bit sensitive with the weather change lately, but I just don’t want to feel makeup on my face right now, even if I’m going full glam. 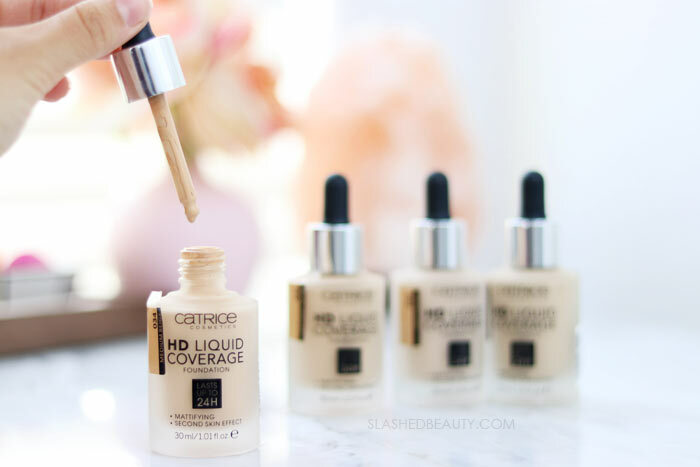 So I was really interested in the “second skin effect” that the Catrice HD Liquid Coverage Foundation promised could last up to 24 hours with a smooth and even complexion. The foundation comes in eighteen shades (though most are sold out on Ulta Beauty’s website right now) and caters to cool, neutral and warm undertones. You can see a shade matching chart on the brand’s website. Let’s talk packaging: The foundation comes in a glass bottle with a dropper to dispense the product. I’m not a huge fan of droppers, I never really know what to do with them. However, this foundation is very thin and runny directly out of the bottle, so I understand that a pump probably wouldn’t have worked very well. So, I’ve been dropping the foundation onto a damp blending sponge and applying it that way. Even though it’s so liquidy, it blends to a powder finish rather quickly. As it mattifies, it creates a smooth layer across your skin that I’ve noticed conceals the texture of blemishes very well— not something you can usually say about matte foundation. The formula is, in fact, very high coverage to the point that I was genuinely surprised that I could get this much from such a thin foundation. As I apply it, it kind of melds into my skin and doesn’t feel heavy at all. I honestly forget I’m wearing foundation at all sometimes when I have this on! Throughout the day, this foundation remains comfortable and the coverage actually lasts! Unlike other full coverage matte foundations I’ve tried this year, this one never feels dry, even in this desert climate! Even though it’s so lightweight, it stays strong and doesn’t break up or fade even 8 hours later. Only a couple of downsides to this foundation that I’ve found thus far: it’s fragranced, which isn’t great if you’re sensitive to scents. It’s a baby powder smell that’s not totally off-putting, but still a little jarring when I apply it. 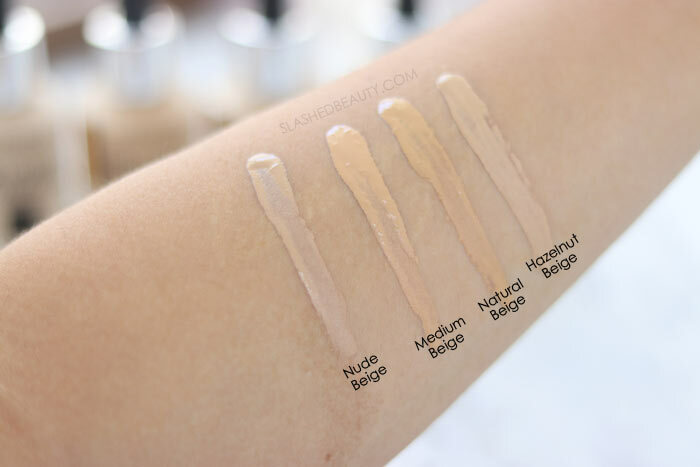 Also, because of the matte finish, the foundation can fall into fine lines or create a thin “crack” appearance, but I find that this only happens in areas I layer the product. 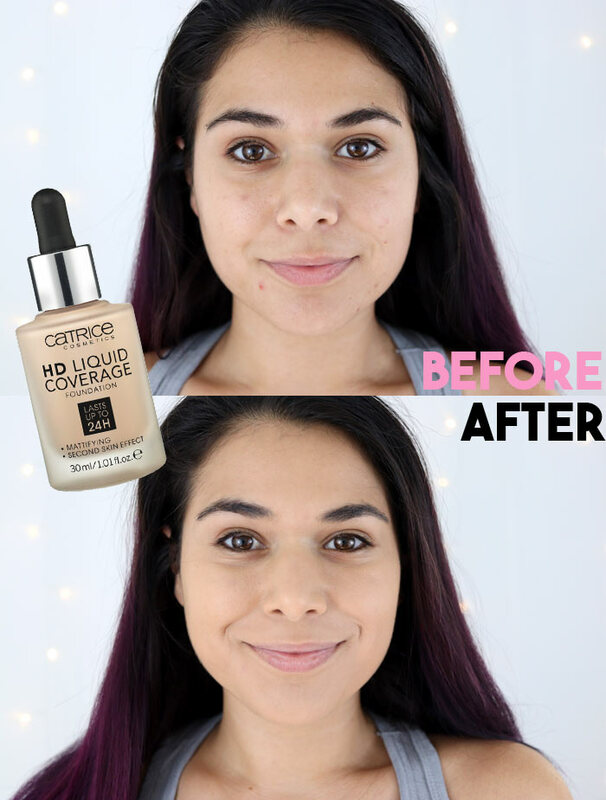 Honestly, I’m really surprised about this foundation, and coming from a smaller (but growing) brand like Catrice! I highly recommend this if you need full coverage but hate the heavy feeling that comes with it. 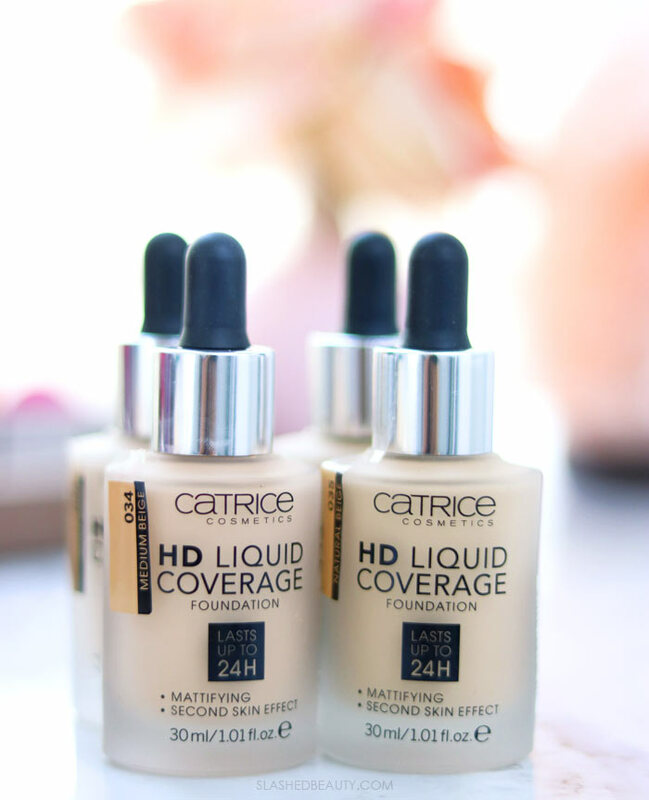 You can find the Catrice HD Liquid Coverage Foundation at Ulta Beauty for $10.99. 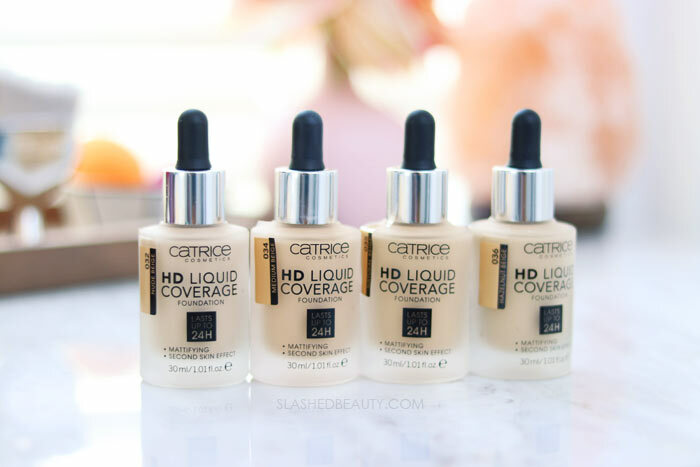 Have you tried anything from Catrice Cosmetics?